This beautiful Clear Quartz cluster has so many wonderful crystal! The specimen is approximately 5 inches long and about 3 inches wide and 3 inches tall. This piece has so many sparkly crystals its hard to describe! This piece has such incredible energy and would be perfect for amplifying intentions or being programmed to hold intentions. According to ancient beliefs Clear Quartz is a crystal of amplification, clarity and programmability. Lore states that clear quartz is a great stone to use in conjunction with other stones to magnify their impact or it may be used alone to source energy for intentions. 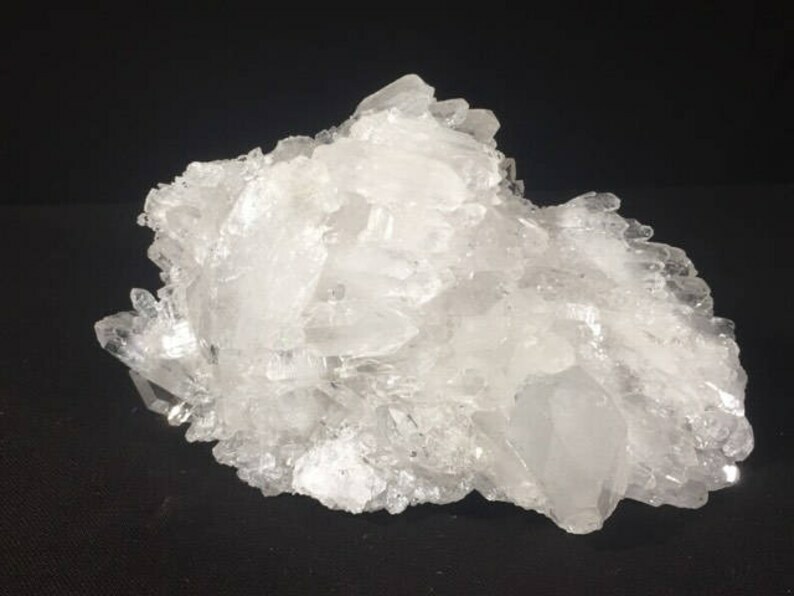 Quartz is said to be a unique stone in that it can be programmed allowing one to set their intentions into the stone where it will persist with the universe strengthening your intention's vibration.